As the great song says, it’s the most wonderful time of the year. And speaking of wonderful, it’s that time of the year when we all gather around the TV. We’re going to watch a festive classic and bask in its glow for a time. We’re bound for Bedford Falls, see. And we’re going to root for George Bailey when his frustration outweighs his satisfaction with his life. But let’s get creative for a moment. Copywriters (or writers in general) can find learning opportunities at every turn. Instead of just sitting back and enjoying the movie, you can glean ways to apply its storytelling principles to your copy. 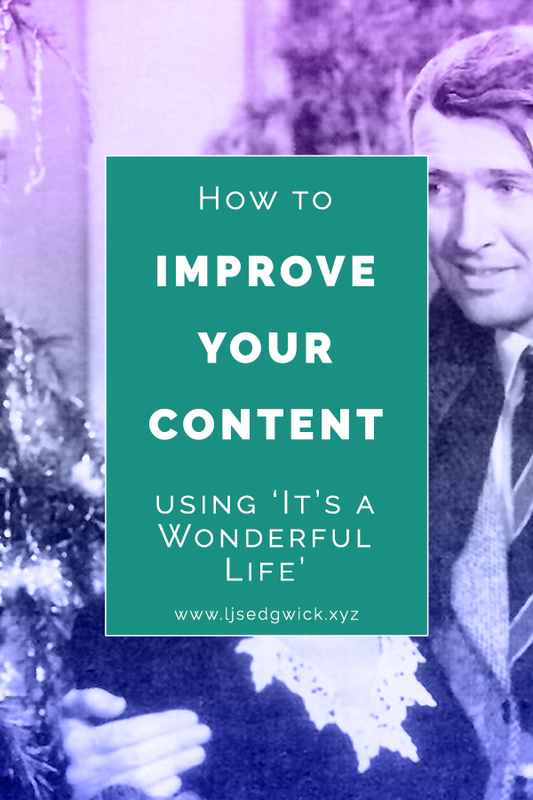 So how can you improve your content using It’s A Wonderful Life? You’d be surprised. So come with me and let’s take a stroll back to 1946. George Bailey is deeply dissatisfied with his life. Unable to leave Bedford Falls, he watches life pass him by. Opportunities go to everyone around him while he holds the fort, waiting for his turn. When his idiotic uncle misplaces $8000, bankruptcy and scandal loom large. Unsurprisingly, George snaps. But no one in Heaven wants George to take drastic action. Instead, Clarence wants him to appreciate what he has. I’m not saying that you don’t want your customer to take action. But you do know what their life could be like, if only they were using your solution. After all, you want your solution to effect a change for your buyer, customer or client. So you’re Clarence in our little roleplay. But, like George, your customers can’t see what that life would be like. You need to improve your content to show them what their life could be like if they used your product. Sell project management software? Show them the time saved that can be spent on creative pursuits. Or show them the glowing reviews they’ll get when their productivity increases. But you don’t need to stay on the good side. You can also show them what their life could be like if they don’t use your product. So let them see those tasks that get forgotten and lead to customer complaints. Or the late nights catching up on things that could’ve been done by someone else in their team. The benefits of your solution will speak for themselves. Clarence has a relatively easy job. After all, George is pretty saintly. It’s hard to argue with an angel when your existence led to the rescue of your little brother. Especially when that little brother went on to save an entire transport of soldiers. And the future of Mr Gower depends on George being there to intervene when grief makes him put the wrong ingredients into diphtheria medicine. But at his heart, George is a good person. He’s not malicious, he’s reliable, and he sticks up for the little guy. Appeal to the George Bailey in your customers. Show them how your product not only improves their lives or business. But also show them how it improves the lives of their customers. Think of the speech George makes to the board when Potter threatens to close the Building & Loan. You know how long it takes a workin’ man to save five thousand dollars? Just remember this, Mr. Potter, that this rabble you’re talking about, they do most of the working and paying and living and dying in this community. Well, is it too much to have them work and pay and live and die in a couple of decent rooms and a bath? Anyway, my father didn’t think so. People were human beings to him, but to you, a warped, frustrated old man, they’re cattle. He puts the concept of the business into understandable human terms. The Building & Loan gives the people of Bedford Falls the chance at a dignified existence. And it also builds community. This speech persuades the board to appoint George as his father’s successor. How can you inject that same sort of passion and improve your content? How can you make your solution more human? How often do you look up a product on Amazon and check out its reviews? Do you discount the 50 5* reviews because there’s a single 1* review? When you book a hotel, do you scour the TripAdvisor feedback before you choose? We all do it. It’s just an online version of word-of-mouth – the most powerful marketing of all. So you’ll hear terms like ‘social proof’ bandied about by marketers. And it’s nothing new. All it means is you’ve provided a good enough service that a customer is willing to tie their reputation to yours by recommending you. In It’s A Wonderful Life, these testimonials come in the form of prayers. All around Bedford Falls, people put aside their own needs and wants because George Bailey is in trouble. Instead of using their prayers for themselves, they pray that George will get the help he needs. Clarence answers these prayers in his own unique way. And George comes to realise that there were plenty of reasons to stay in Bedford Falls after all. Heaven might have still intervened without the prayers. But it’s made clear in the film that the testimonials prove George’s worth in the eyes of the town. You need to prove your worth to your buyers. Often, an easy way to improve your content is to look to the testimonials of your customers. If you’re a startup, look at the feedback from your beta testers. What questions do people ask? Or what do they always mention? Create content to answer those questions. Or highlight the features your customers praise most often. But most of all, use those testimonials. People respond to language they recognise. What better than the language of their peers? Include snippets from reviews or feedback in your content and use it verbatim. Let your prospects know that you didn’t write it. An actual person, just like them, wrote those words of praise. They might not trust you – but they’ll trust a fellow customer. People don’t always respond to data. They’re not always necessarily swayed by features and facts. But they do respond to stories. It’s how humans have always communicated, from cave paintings to Star Wars. So if you want to improve your content, start thinking sideways. Ask yourself what stories appeal to people. 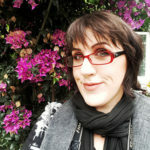 How can you use similar stories in your own content? How can you be Clarence to your George Bailey customers? If you’d like help to improve your content by applying these storytelling principles, drop me an email. Let’s make your content wonderful!